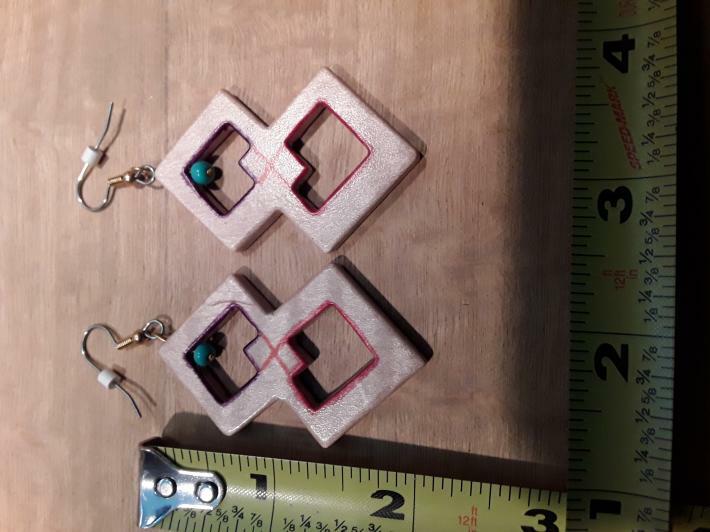 This is a very unique style of earring that has been cut to represent 2 squares attached to each other. All cutting of interior and exterior was done using the powered table scroll saw. 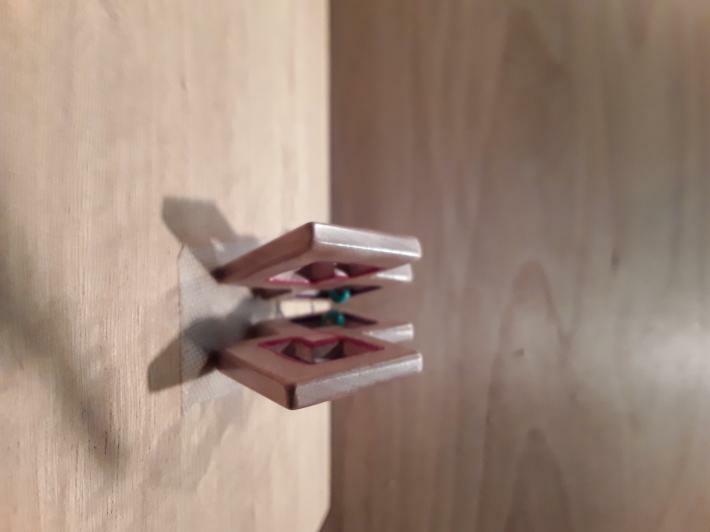 After cutting, the teeth marks were removed using hand files and then completely sanded inside the squares and outside by hand which took about 2 hours from 250 grit to 600 grit. Then I used ink pens to highlight the interior edges for something different. 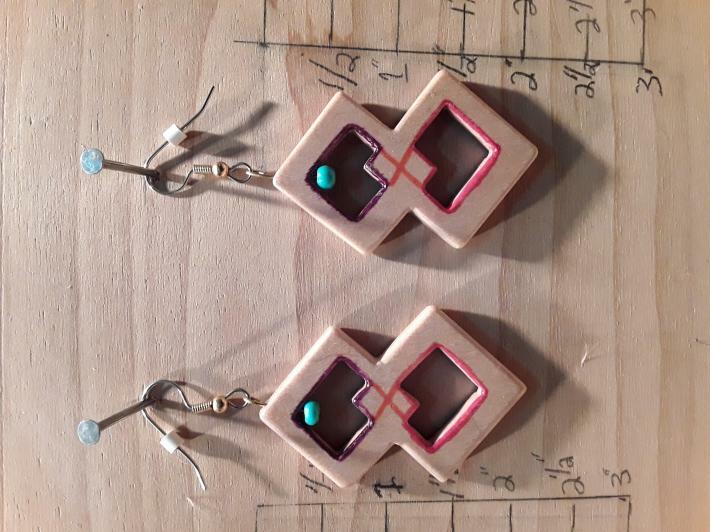 And the nice aspect about the ear wire on this earring is that the wood will swivel around in circles. If you like this style of earring made in a different type of wood and want a different color of bead, that can be made just for you as all my earrings are custom made....nothing is made in volume to be exactly like any other earring. This pair had all wood dust removed by compressed air, double dipped in Watco Natural Danish Oil and then dried 48 hours and buffed for a smooth feel.